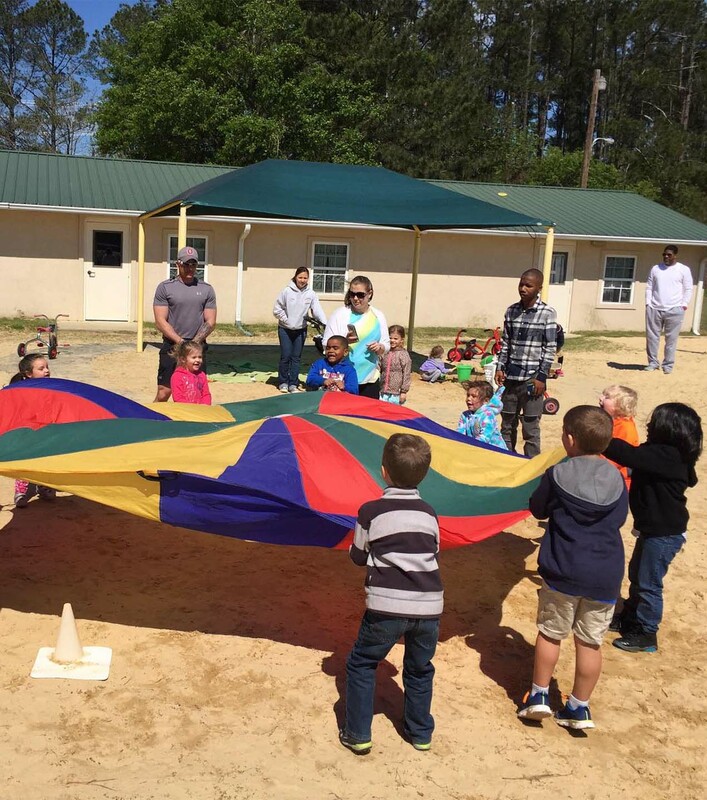 Forever Kids is a nurturing and educational environment for children offering daycare services, preschool, pre-k and NC Pre-K education for children in Hoke and Cumberland Counties. Our certified teachers offer your children a headstart in their education in a setting that allows them to develop a love for learning at these crucial stages in their lives. Click here to learn more about our Raeford location of Forever Kids Preschool & Daycare. For our current parents click here to access the parent portal where you can pay your bill and more. Click here to learn more about our Fayetteville location of Forever Kids Academy. Forever Kids Academy is proudly owned and operated by a military veteran family. The school has been in business since 2001 and has grown thanks to supportive families that have either worked for us or entrusted the care and education of their children to us. The staff at Forever Kids Academy is proud to always offer the best of ourselves of plant the seed for and nurture the love of learning that is so crucial for academic success. We gladly accept walk-ins for tours of the daycare between the hours of 9:00am and 3:00pm. These hours will allow you to avoid the hustle and bustle of drop-off and pick-up times. It will also allow time in the mornings and evenings for our staff to properly care for their classrooms and the children. We would also be happy to answer any questions you may have via phone. Please click the button below to learn more about us and our centers. Our children and our families are a testament to our efforts to be the best daycare, best preschool and best pre-k education provider in Fayetteville and Raeford North Carolina! But what does it mean to be “the best” in childcare and early childhood education? To us, there is no formula for being “the best”. It’s a continuous process to maintain and sustain our work to the expectations of our families. Every day, we are humbled by the response and feedback of our families. We’re also very proud that we’ve been able to sustain the quality of childcare and education children deserve. High-quality educational experiences to enhance school readiness for eligible four-year-old children. A curriculum modeled and based on the NC Pre-K program to develop a love for learning in children. We offer weekly care with a fantastic staff of qualified caregivers that truly care about your children. After School care for children attending Elementary School. We even drop-off and pick-up from their school! Forever Kids is a family owned and run daycare, preschool, and after school center. Late in 2001 Patricia Bunn, after decades managing multiple daycare businesses, decided to open her own daycare, preschool, and after school center. With the help of her immediate family, as well as the newly formed Forever Kids family, she has successfully taken Forever Kids Preschool and Daycare from one 3-classroom sized building to a much larger 10-classroom building and After School Gym. More recently in July 2015 she opened a second center further in the heart of Fayetteville, North Carolina. Check out our Facebook pages for more information and some general content from what goes on at the center on a daily basis! We want you to be part of your kids lives even when you can't be there!